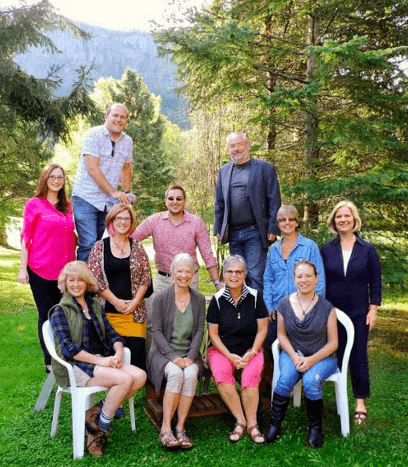 The Northwestern Ontario Writers Workshop introduced new board members and announced various upcoming events at their annual general meeting earlier this week. “I’m excited to announce that we have four new members joining the board,” said NOWW president Jane Crossman. New board members include Charles Campbell as treasurer, Sarah Mendek-Walker as secretary, and members at large Donna White and Jodene Wylie. The new directors join Crossman, vice-president Susan Rogers, regional representative Dorothea Belanger, and members at large Heather Dickson, Alex Kosoris (a regular contributor to The Walleye) and Brandon Walker. Meagan Botterill is NOWW’s administrator. Crossman said she is excited about the many workshops and events planned over the next few months. “We have some exciting workshops coming up about spoken word, the business of writing, and our Write NOWW series featuring a panel discussing a topic of interest to our members,” she said, adding that NOWW is always looking for new members. Visit nowwwriters.ca for more information or contact admin@nowwwriters.ca. Tuesday, Dec. 6, 7 p.m. – Reading: The theme is Shine Bright – Brodie Library Fireside Room.